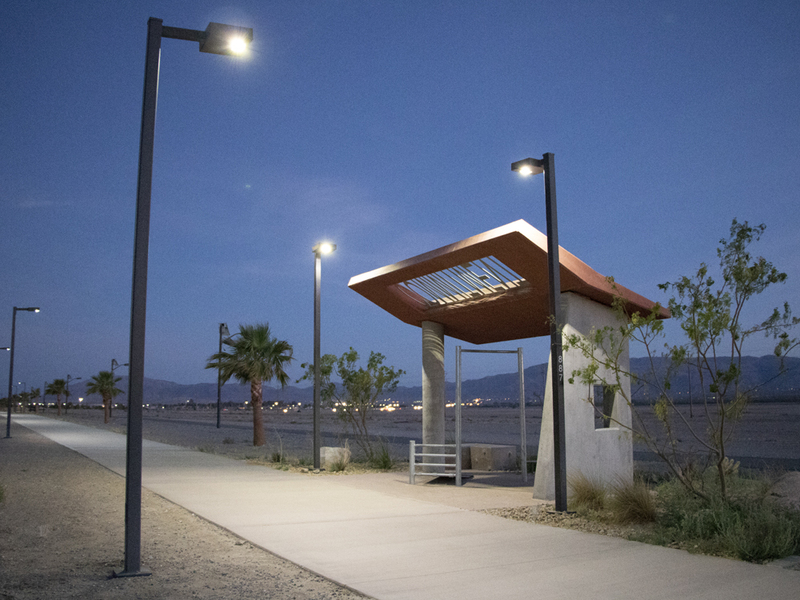 Solar Area Light Perfect for Desert Park Pathway - First Light Tech. A Marine Corps base in California is striving to reach a goal of 50% of its onshore operations being powered by renewable energy sources by 2020. 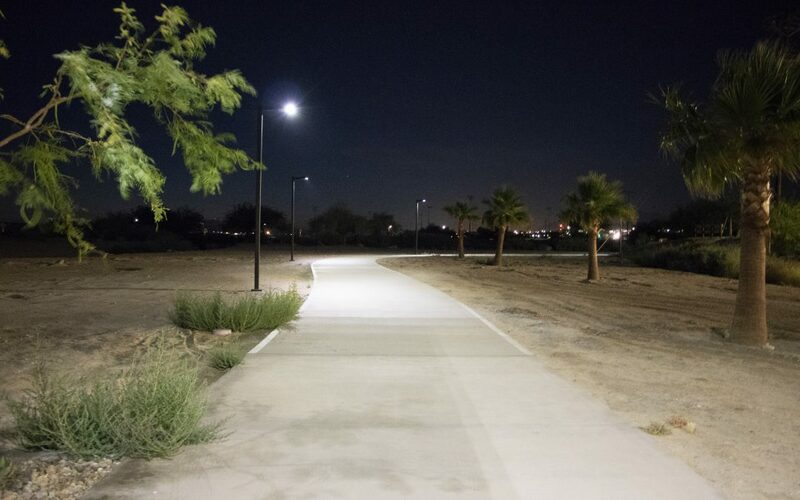 So, when nearly 3 miles of recreational pathways were in need of lighting, a solution that was cost-effective, reliable and aligned with this renewable energy mandate was needed. When all options were considered, the base ended up ordering 261 of First Light’s SCL solar area lights. Any solution needed to be durable enough to withstand long-term desert conditions. The SCL is housed in a robust fixture made from U.S. formed aluminium and every component has been carefully engineered and tested to ensure that it can withstand a variety of conditions. In most solar lighting solutions, the part most likely to fail is the lead acid battery. This is exacerbated by hot conditions which significantly shortens the expected lifespan of lead acid batteries. This is why First Light products use lithium batteries that perform much better in more extreme temperatures. To be sure of this, we have ongoing controlled tests in extreme hot and cold conditions to ensure ongoing performance. From these tests, we know that lithium batteries dramatically outperform lead acid (8-10 years for lithium vs 2-3 years for lead acid). Having lights that are powered by solar avoids the need to dig trenches for wires. 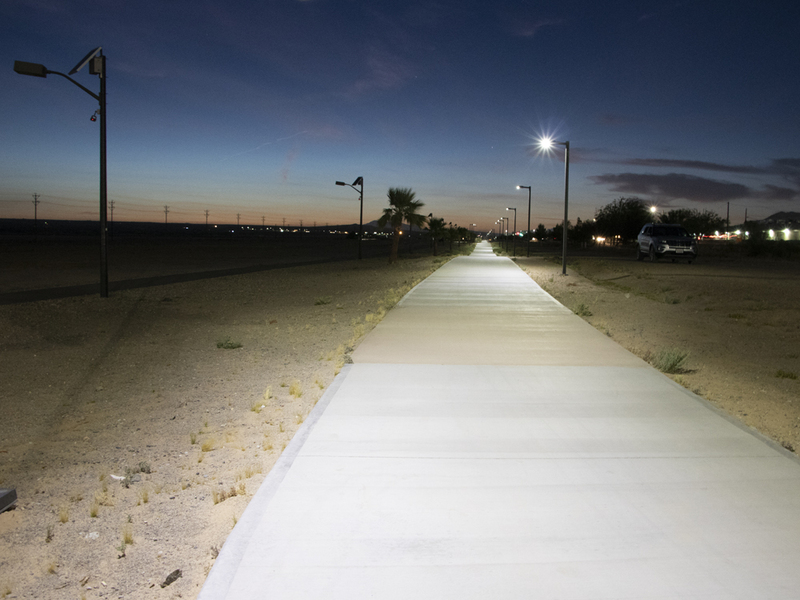 With a minimum average cost of $25 per foot for trenching, opting for solar luminaires saved the base over $400,000 in install costs along the 3 mile pathway. This is in addition to quick mounting to the pole itself, which often takes about 15 minutes or less and does not require any specialised tools. Relying on solar power takes away the need for power from the electrical grid, about half of which is produced using fossil fuels in California. This helps reduce greenhouse gases and ongoing costs while also making the lighting along the pathway immune to power interruptions. The SCL incorporates smart, adaptive technology to ensure the most reliable performance available in a solar powered light. 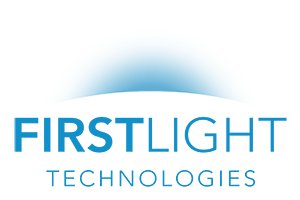 When weather, seasonal or site conditions are less than ideal for solar, the light automatically adjusts to ensure that the light output is optimized without risking failure. The familiar shoebox style has all of the components of the lights – solar module, solar controller, battery and LED light – in one self-contained, robust fixture. This greatly reduces visual clutter and gives First Light products the appearance of a regular, wired light. First Light products have a life expectancy of approximately 20 years with the batteries having a 8-10 lifecycle. Batteries are designed to be easily changeable and there is no ongoing electrical cost. While other solar lights (pictured left) struggle in desert conditions, First Light’s SCL area lights shine bright all night, every night. 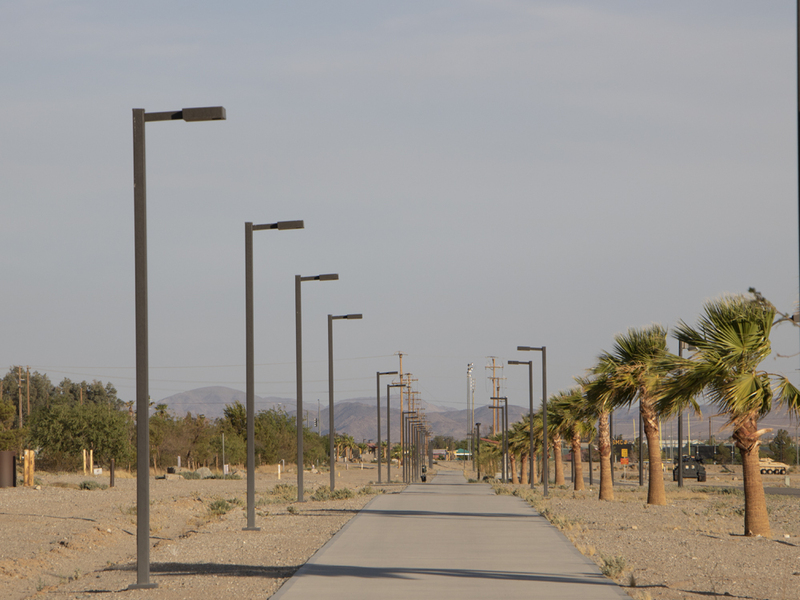 With First Light fixtures performing so well in the desert, the base has already made two follow up orders with our next generation SCL2 to light even more pathways. We’re proud to have been able help light the base’s pathways with a sustainable, robust option. Read more about the SCL.